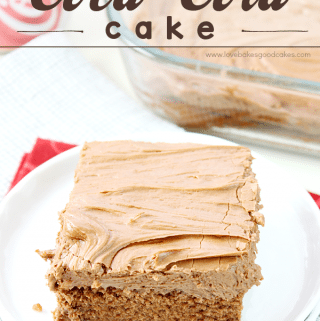 This Coca-Cola Cake is a Southern favorite! It’s perfect for celebrations or potlucks! If you live in the South, I’m almost positive you have not only heard of Coca-Cola Cake, but I’m sure you have indulged in it a time or two. If you’re from anywhere else, Coca-Cola Cake may be new to you! It’s quite popular at potlucks and every Southerner has an ______ (aunt, mother, grandmother, neighbor, pastor’s wife ……. you get the idea) who makes this wonderfully delicious cake! 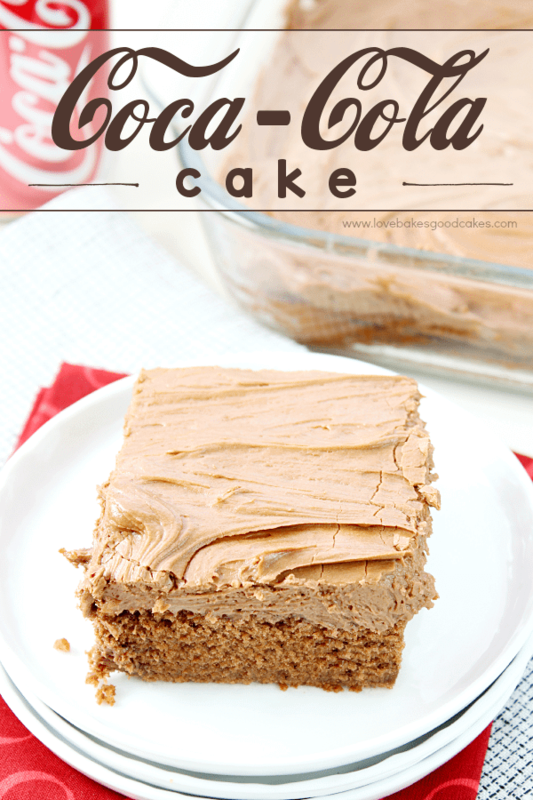 Since this Coca-Cola Cake starts with a boxed cake mix, it makes it super easy to put together. 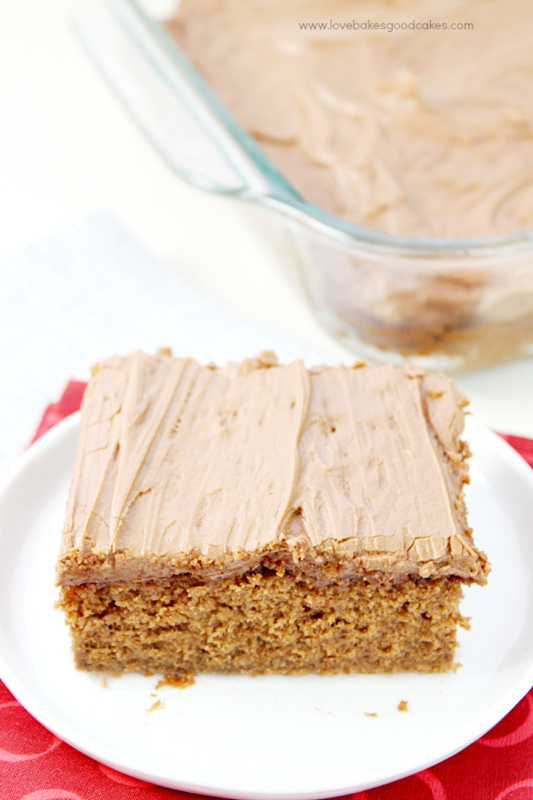 Unlike many cakes, this cake has a subtle chocolate taste paired with the Coca-Cola … and the frosting? 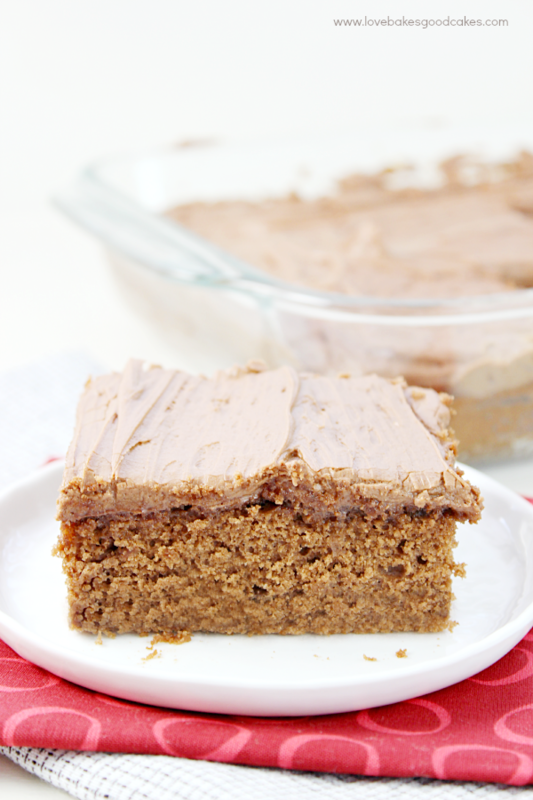 I’m sure you have figured out by now that homemade frosting is always a favorite of mine! It’s perfection. I think I love frosting more than cake sometimes! 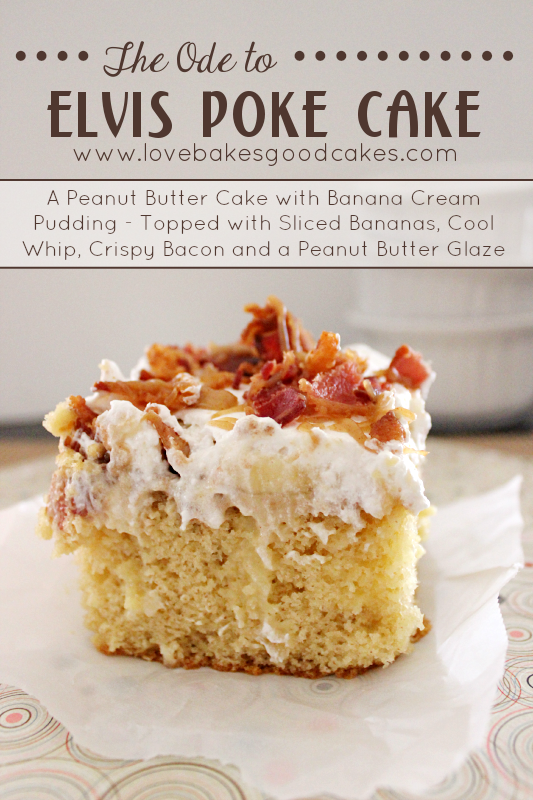 Definitely plan on making this cake soon! You’ll be glad you did! Oh, and don’t forget to sneak a spoonful of the frosting while no one is looking … ya know, for quality control purposes! Hehe! 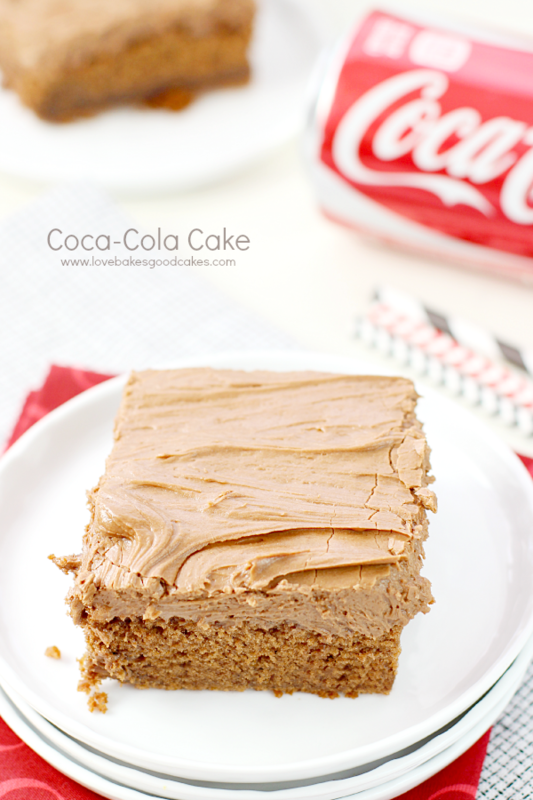 This Coca-Cola Cake is a Southern favorite! It's perfect for celebrations or potlucks! Preheat oven to 350°F. 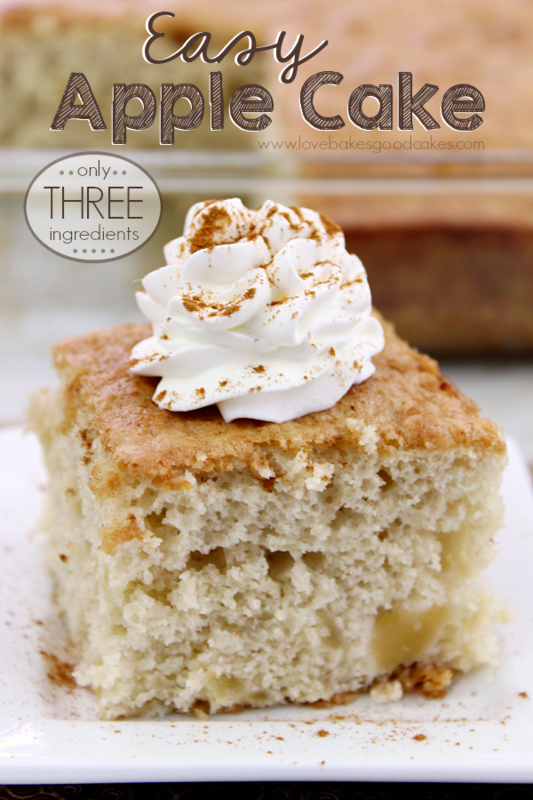 Brush a 9x13-inch baking pan with Miracle Pan Release or lightly mist with cooking spray. Set the pan aside. Place all of the cake ingredients except marshmallows in a large bowl. Combine with an electric mixer on LOW speed until mostly combined. Stop machine and scrape down the sides of the bowl with a rubber spatula. Increase mixer speed to MEDIUM and continue to beat an additional 2 minutes or until well combined. Stir in the marshmallows. Pour the batter into the prepared pan, smoothing out with a rubber spatula. Bake for 40-42 minutes or until the cake just starts to pull away from the edges of the pan and the cake springs back when lightly touched with a fingertip. Remove cake from oven to wire rack to cool while you prepare the frosting. Meanwhile, place the butter in a medium saucepan over low heat. After the butter melts, stir in the cocoa powder and Coca-Cola. Bring the mixture just to a boil, stirring constantly. Remove from the heat and quickly stir in the powdered sugar. Stir until the frosting is smooth. Pour the frosting over the prepared cake, spreading it evenly over the top. 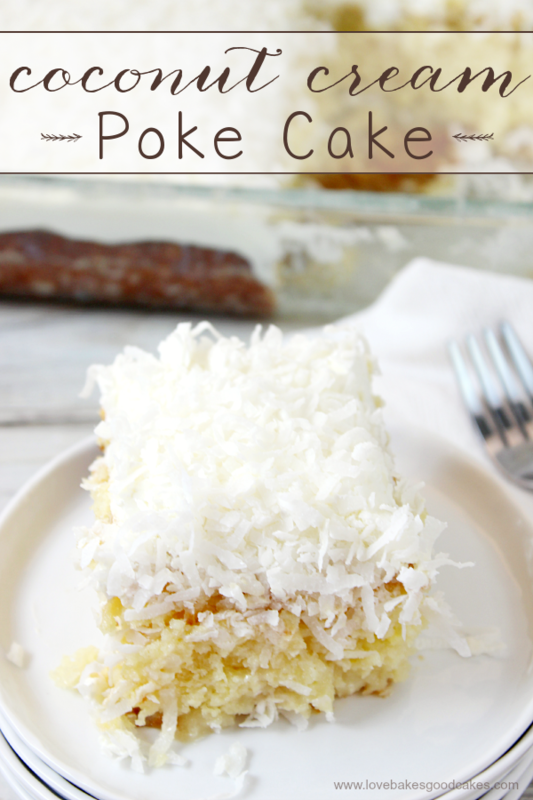 Let cake cool 20-30 minutes before serving. What is your favorite dish to take to a potluck? I’d love for you to tell me in the comments! Yum! 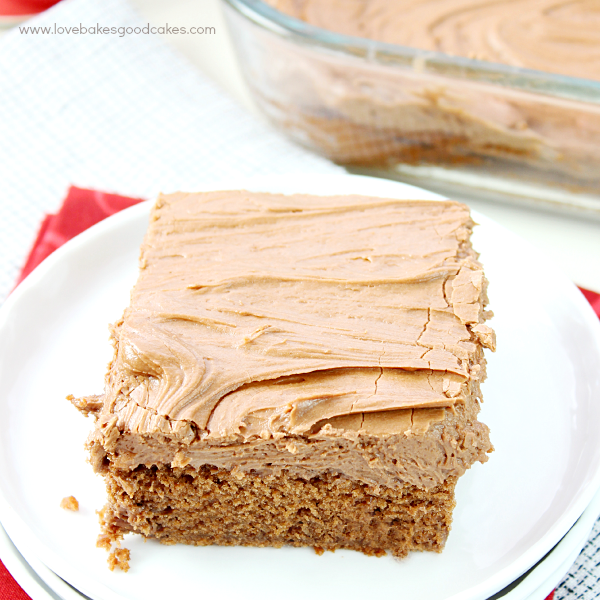 I think homemade frosting is the best part of pretty much any cake! I have heard of coke cakes, but don't think I have tried one. I'll have to change that! Ok I have lived in Kentucky for the majority of my life and I have never heard of this. OMG it sounds so delicious. I will certainly print this out and try it soon. Thank you for sharing.